The bag+strap arrived today, ahead of schedule. I'm not happy with the strap. The leather is not as thick as I would expect or want and neither is the buckle. I expect it to be functional for some time but I don't have high hopes for it. In short, I think it should be a more substantial product. 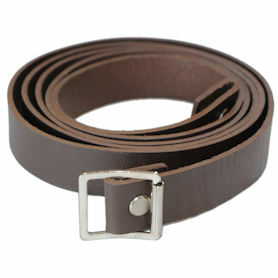 I chose dark brown with the square buckle.